The battle at Raate Road was a battle fought during the Winter War between the Soviet Union and Finland in January 1940. 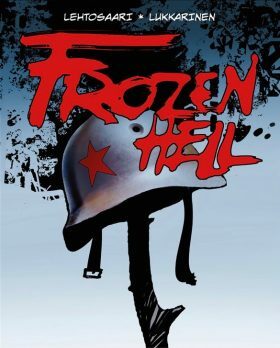 The battle is also known as Frozen Hell, where Finland defended itself against the Red Army, the local military vastly outnumbered by its Soviet counterparts. Using “motti” (encircling) tactics, three Finnish regiments managed to cut off Red Army supply chains, destroy two Soviet divisions as well as a tank brigade trapped on the road in the freezing cold, with temperatures plummeting to -40 degrees. Frozen Hell is a visual account of this memorable battle of David versus Goliath.